(From Press Release) – Gov. Jerry Brown has signed a bill from Sen. Bill Dodd, D-Napa, that will allow the Davis Joint Unified School District to waive its district parcel tax for teachers and school district employees, making housing more affordable to them. Senate Bill 958 was signed Thursday. It was supported by the Davis Joint Unified School District and state schools Superintendent Tom Torlakson. Davis schools trustee Alan Fernandes has said it would encourage more of the district’s more than 450 teachers to live in the community they serve. Now, about two-thirds of the teachers live outside Davis where housing is less expensive, he said. Does this apply to Measure M? Measure M is a facilities bond, not a parcel tax. I know of some teachers whose families are very well off, their partners have very good jobs. What a nice windfall for them. How about other families that these school parcel taxes are a burden on, are they going to get relief too? I think this new law might hurt any new proposed school parcel taxes in the future as voters will see this as unfair. It will also be hard for teachers to push these taxes because they’re telling others to pony up for something they don’t have to pay them themselves. Does this include highly paid superintendant and management employees? Seems like they would have had to declare that in the measure itself. So looks like not for this measure but only subsequent ones. This was our most important legislative priority? Maybe David can answer if the new bill applies to school parcel taxes and bonds already in effect or only new ones. With the exemptions embedded in the measure itself there does not seem to be a path to creating a new exemption other than passing a new measure. applies to school parcel taxes and bonds already in effect or only new ones. is a damn good one… DJUSD, who sponsored/supported the bill should “person-up” and address these questions… and the candidates for the Board should, as well! The school parcel tax originally had an exemption for seniors. When renewed it had an exemption for seniors and one for disability. The disability exemption was not retroactive to the current year. Since the law only permits an additional exemption it would seem to be a “going forward option”. I agree Howard, I want more than a “seem to be” and a “I believe” for proof. The bill is inherently unfair, and borders on corruption. Yes Ron, what’s next? City workers being exempt from city parcel taxes? I’m sure many city workers can make a case that Davis is too expensive for them and their salaries. Most workers can probably make that case. For city workers, the logical “corresponding” measure would be an exemption from city parcel taxes. By the way, this won’t cause the existing 2/3 of teachers who apparently live outside Davis (per the article) to move to Davis. Therefore, I’m not sure what the actual purpose is. (Perhaps a rather insignificant “recruiting tool” for new teachers? Good point. It will just give the ones that currently live here a nice tax break and increase the burden on the remaining homeowners who do have to pay the school parcel taxes. I really think this could backfire on the school district. 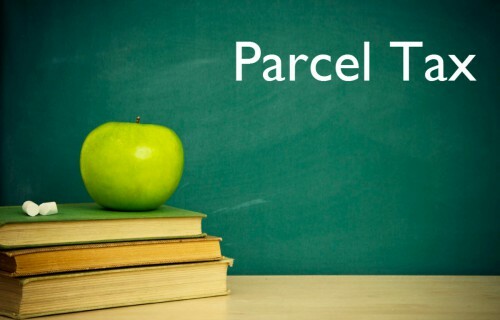 You talk about a great talking point for school parcel tax detractors. Seems like no one with any sense was in the room, when this was first considered. Almost missed that. What a great line! Good Democrat (or those that used to be Democrat and still hold mostly Democrat connections) politicians stroking one hand that feeds them while beating the rest with their other hand. It applies to teachers as well as district employees. It applies to “qualified special taxes” which is the term used for parcel taxes. Interestingly, the new bill will become inoperative in 2021, which means that it will only apply to parcel taxes passed until then. The Measure M ballot language does not provide for any exemptions. Measure M is based on the assessed value of one’s home. So, presumably seniors who are more likely to have owned their homes for a longer amount of time will be paying less because of the rate structure. P.S. But I agree that official clarification from DJUSD is needed.